This is the closest thing to an 80s movie I've seen since, well, 1989! It's cheesy, schlocky, outrageous, and ham-handed, but in all the right ways! On the one hand, I want to say it's terrible (and maybe it is, factually, 'poor'), but on the other hand, I freakin' loved it (and Lauren enjoyed it, too). 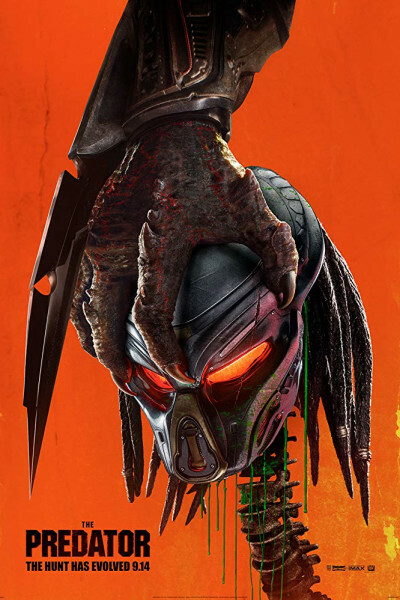 It's helmed by Shane Black, who largely pioneered the 1980s action genre (with films like The Monster Squad, The Last Boy Scout, Last Action Hero, The Long Kiss Goodnight), and I think you'll agree he's evolved 0% which—in a world that often feels alien, unfamiliar, unrecognizable, unmoored—is exactly what we all hanker for now and again. [Fingers crossed you'll] enjoy, but if you don't, just punch a pillow. p.s. It's rated R. For dangling entrails and exploding bodies, sure, but mostly for language. Lots and lots of language.